Sentinel Prime is ready for battle. After lying dormant for countless centuries the powerful Autobot is set to awaken on Earth. His close ties to Optimus Prime and the Autobots could form an alliance capable of finally destroying the Decepticons for good! Prelude: Writing the review for Leader Sentinel Prime I still assumed that Sentinel would be an honourable Autobot, who would go into battle alongside Optimus Prime against Shockwave and Megatron. By now we know, of course, that Sentinel Prime is nothing but a misguided traitor with delusions of grandeur. 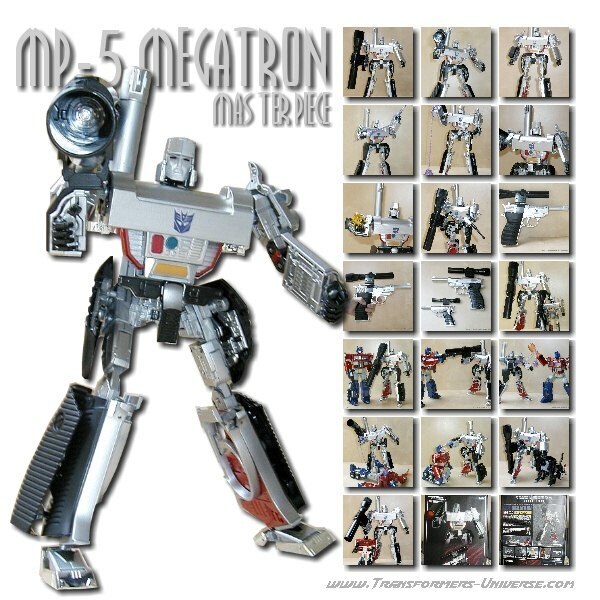 Megatron’s ego is tiny by comparison. Does that influence this review? Of course not. Alternate Mode: Voyager-class Sentinel, too, transforms into the second-most beautiful fire truck in the world: the Rosenbauer Panther 6x6 (the first being the Rosenbauer Panther 8x8). Visually there is very little difference between this and the Leader-version apart from the size. This one here has got real windows on the sides, not just painted-on ones. Also, Sentinel Prime’s traitor status is evident here by the scratched-out Autobot symbol, somewhat similar to Jetfire’s Decepticon emblem. Nice detail. But the most visible difference is, of course, the big water cannon on top. Compared to the Leader version it’s truly gigantic here and doesn’t fit into the picture at all. With a press and a twist the water cannon transforms into the rust blaster (not movie-accurate, if you want that you should visit Shapeways). It doesn’t look bad, but it’s vastly oversized. Apart from that a rather unspectacular alternate mode. Robot Mode: The transformation into robot mode is a whole lot simpler than it was in Leader-class, but the robot looks a whole lot plainer, too. The hands are immobile (not originally intended), the legs can barely be posed, and the chest is faked, but looking good. Only the deep red metallic paint disturbs the picture a bit. Sentinel Prime doesn’t really offer a lot of poses. His head isn’t ball-jointed and he’s got this huge back pack (a typical shell-former). His gun looks oversized in robot mode, too, positively dwarfing him. Also, he’s missing the Primax sword and his shield. You can get both, together with a proper rust cannon, at Shapeways. Conclusion: Simply put the Voyager figure does right what the Leader did wrong and vice versa. It makes more sense from a play perspective, seeing as Shockwave and company are all Voyager-sized, too. Still, no definite recommendation from me, it’s a matter of personal taste, I guess. Prelude: Being an avowed bargain hunter, I do occasionally buy figures on clearance that I wouldn’t otherwise. Voyager Sentinel Prime is one such bargain. Sometimes this leads to positive surprises. But not always. Alternate Mode: Sentinel’s alternate mode is a Rosenbauer Panther 6x6, a vehicle used as a fire truck at airports around the world. I’m a big fan of this vehicle and it’s a perfect choice for a Prime, too. But let’s look at the most obvious thing first: Sentinel’s Mechtech weapon. Instead of the normal crane arm that both the Leader and Cyberverse Commander figure had, this version features a Mechtech weapon instead. It’s supposed to be a water cannon of sorts, but it’s vastly oversized and not just here in vehicle mode. A little less would have been much more here. Apart from that this mode is pretty well done. The paint applications are mostly the same as in Leader class, apart from the unpainted front and tail lights. A bonus point compared to the Leader is given for the rear side windows, which aren’t just painted on here, but are actual windows. So all in all a very good vehicle mode that I personally like a lot, it’s only real flaw being the Mechtech weapon. Transformation: Compared to the Leader class figure the transformation of the Voyager figure is pretty simple. Only de- and reattaching the rear requires a bit of fiddling, but no other complaints. Robot Mode: One of the most frequent complaints about the DOTM toyline is the lack of paint on most figures. Sentinel, on the other hand, has a very extensive paint job. That’s not necessarily a good thing, though. Many of the details of the torso were painted a deep metallic red, which doesn’t fit with the rest of the figure at all. The insides of the vehicle’s side parts, as well as parts of the upper body and legs show an iron colour, which looks good, but they forgot the hands. The figure features a milky-transparent light piping, but due to the face’s paintjob it’s barely noticeable and the face looks pretty plain. So the figure isn’t lacking in paint, but important spots like the eyes and hands were neglected. Too bad, some more details would have worked wonders for this figure, I think. Articulation is good, but nothing special, either. A ball-joint for the head would have been nice. His biggest flaw in robot mode is his back pack, though. Bascially 90 percent of the vehicle mode parts fold together into a big rucksack, making him a classic shell-former. The Leader version did this a lot better, incorporating many alternate mode parts into the robot. Sure, Sentinel needs his cape, but it’s much too large in this version. You can fold the sides backwards a bit, making it look smaller from the front, but that makes it stand out backwards a lot. Even the much smaller Cyberverse version did better here. Also, the Voyager figure is missing Sentinel’s sword and shield, replacing it with the much too large Mechtech weapon. Most of the new Voyager molds in the DOTM toyline (of which there weren’t that many) are pretty good, but Sentinel is pretty far down that list in my opinion. A lot of potential was given away here. Conclusion: Not a must-have if you already have the Leader-class version. Possibly an alternative for people, who prefer it for the smaller scale and price point of a Voyager-class figure.